NM Req please! https://osu.ppy.sh/beatmapsets/778657#osu/1635388 Thank you! Hi~ looking for BN please https://osu.ppy.sh/b/1746854 full ver of TRUE - Soundscape thanks! Hi Seto! https://osu.ppy.sh/beatmapsets/893614#osu/1867520 Thank you! https://osu.ppy.sh/beatmapsets/778657#osu/1635388 have a nice April fool's day! Hi, M4M please! https://osu.ppy.sh/beatmapsets/778657#osu/1635388 thanks! Hi~ Would you please check this again? DECO*27 - First Storm -Japanese Version- Thank you! M4M: https://osu.ppy.sh/beatmapsets/893614#osu/1867520 Looking to rank my first map, thank you! Hi, vocaloid map, m4m please! https://osu.ppy.sh/beatmapsets/778657#osu/1635388 Thanks! hi, NM please! https://osu.ppy.sh/s/534054 Thanks! Hi, M4M please! https://osu.ppy.sh/s/534054 Thanks! Hope you enjoy Snow Halation! m4m - https://osu.ppy.sh/beatmapsets/893614#osu/1867520 Thanks! Hello! NM req please! https://osu.ppy.sh/beatmapsets/893614#osu/1867520 thanks! Hi, M4M! 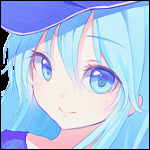 https://osu.ppy.sh/b/1635388 Fav Pokemon is Eevee Thanks! Hi! https://osu.ppy.sh/beatmapsets/534054#osu/1268615 TRUE - Soundscape (anime) thanks!